Suit up like Spider-Man with the Spider-Man Hero FX mask, featuring motion-activated sounds and phrases! Kids can push the button on the mask and shake or move it to activate Spider-Man phrases and web-slinging sound effects! 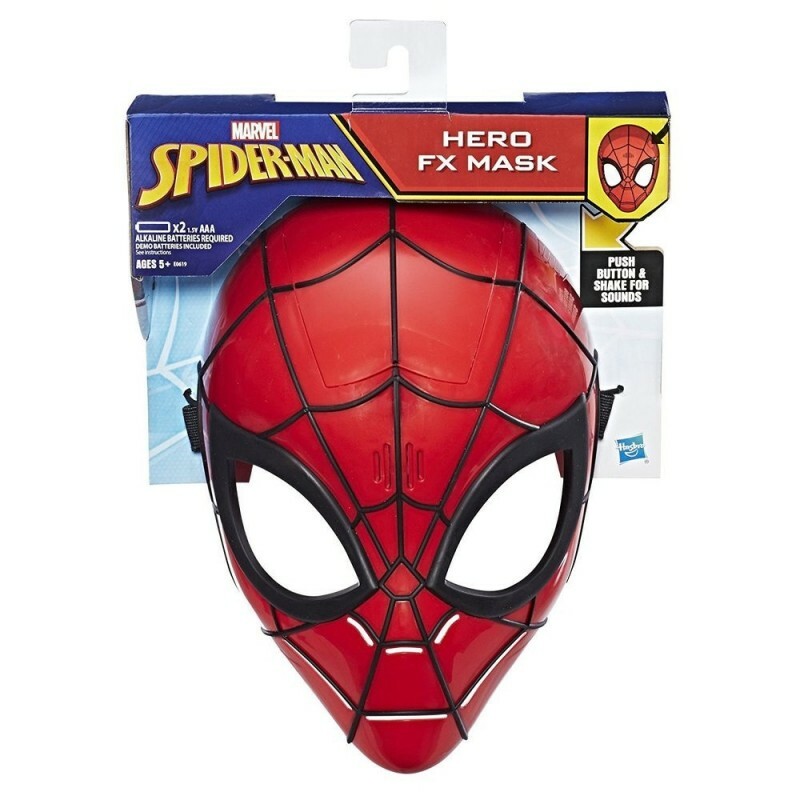 The Spider-Man Hero FX mask includes a flexible band to fit most kids, so heroes-in-training can imagine suiting up and swinging into the web-slinging action! • Includes mask and instructions.